staying with the group for almost 2 years. In order to facilitate and develop his growing fascination with American singer/songwriters, in 1969 he formed his own band, Matthews Southern Comfort, This group spawned a massive European hit with the Joni Mitchell song "Woodstock". However, within a year, Matthews felt restricted and began his solo career, signing with the Vertigo label and a new era began. After 2 albums for the company, once again, he felt the need for newer pastures and in 1972 Plainsong, a quartet, was formed with friend Andy Roberts, where together and to high critical acclaim, they chronicled the exploits of American aviator, Amelia Earhart. Within a year Matthews was again on the move, this time changing continents in a move to Los Angeles, where he established an artist, producer relationship with ex Monkee, Michael Nesmith. Intending to make the one album, stay for a year and return to Britain, Matthews eventually became a US resident, staying for the next 28 years. Along the way, recording a further 15 solo albums, plus several more with Plainsong and a couple with former Pavlov's Dog founder, David Surkamp, in the short lived Hi-Fi. 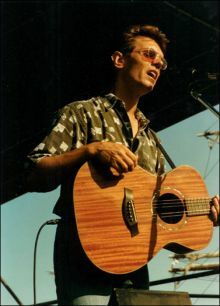 In 2000 he returned to Europe and for the next 4 years worked closely with Dutch singer/songwriter, Ad Vanderveen and together with Eliza Gilkyson, they formed the trio More Than a song, recording and releasing 2 albums. 3 years ago Matthews released his 19th solo work, Zumbach's coat. Settling in the south of Holland in 2002, he met and married his soul mate Marly. They have 2 children, Madelief, 8 and Luca, 3.